Meet pottery artisan Ardie Praetorius. Ardie began pottery studies 45 years ago at UNC Greensboro, and then at Penland School of Crafts. She currently resides in N. Myrtle Beach, SC and works out of her home studio. Ardie is best known for her work on the wheel, but she hand builds pottery as well, producing a variety of functional and decorative items. She often carves her own pieces and continues to use her signature flower motif. Each of Arie’s clay pieces is handcrafted and unique, so no two are exactly the same. 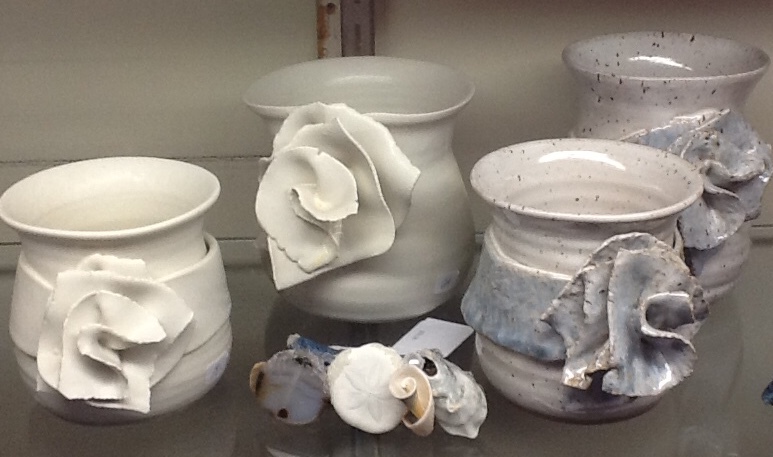 The use of fine porcelain or stoneware clays and hand mixed glazes insure artistic integrity.